The Internet has transformed the way businesses approach clients. More and more people are using the Internet to search for what they want, and if your company’s website is ranked high in popular search engines then you can easily attract more visitors – which means more potential clients. But the question is, how can you get to that top spot in the search engines when there are a large number of competitors out there? 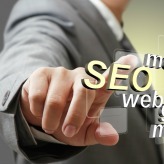 The answer is simple – by integrating search engine optimization (SEO) into your website. Want to learn how? Here’s an overview of SEO and how to boost your online presence.